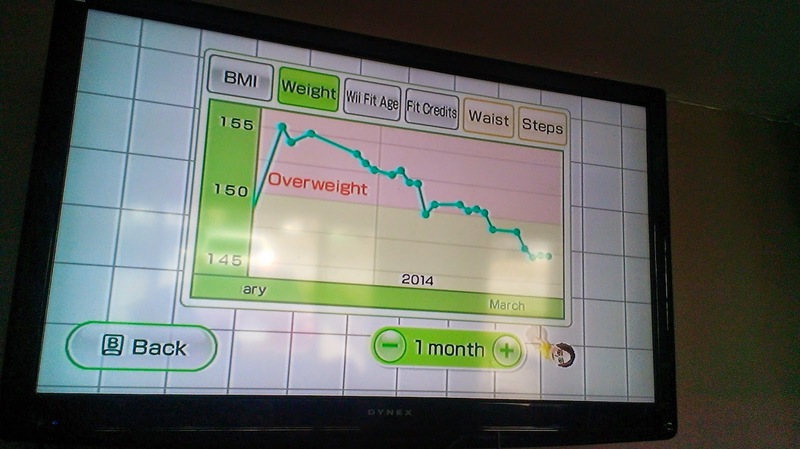 Back in February I decided it was time to lose my baby weight. Yes, Mason is 2, but it's still baby weight. 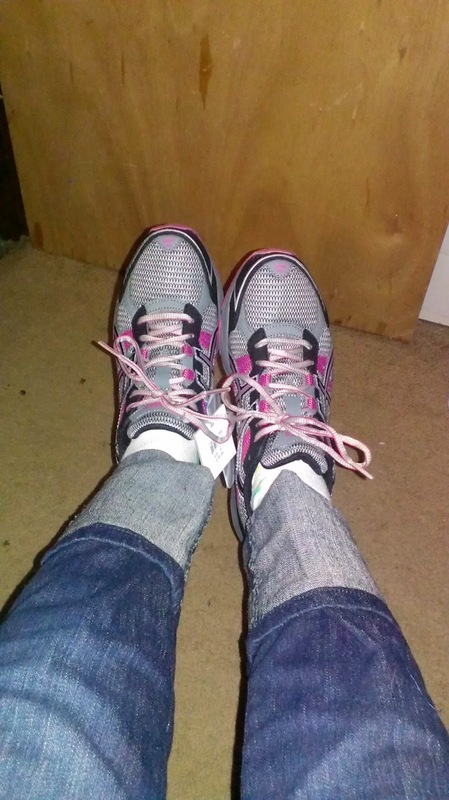 First, I bought some new running shoes thanks to Meijer's buy one get one for $1 sale. Mike got some too. Then, I bought a treadmill. I will say, I HATED running. I always said I would never run unless someone was chasing me, but with Marley in school and Mason at home, I couldn't really afford to go somewhere to work out so this was my next best choice. I also downloaded the C25K app on my phone. It's a great app for beginning runners because it slowly progresses each week, until you can run a 5K. 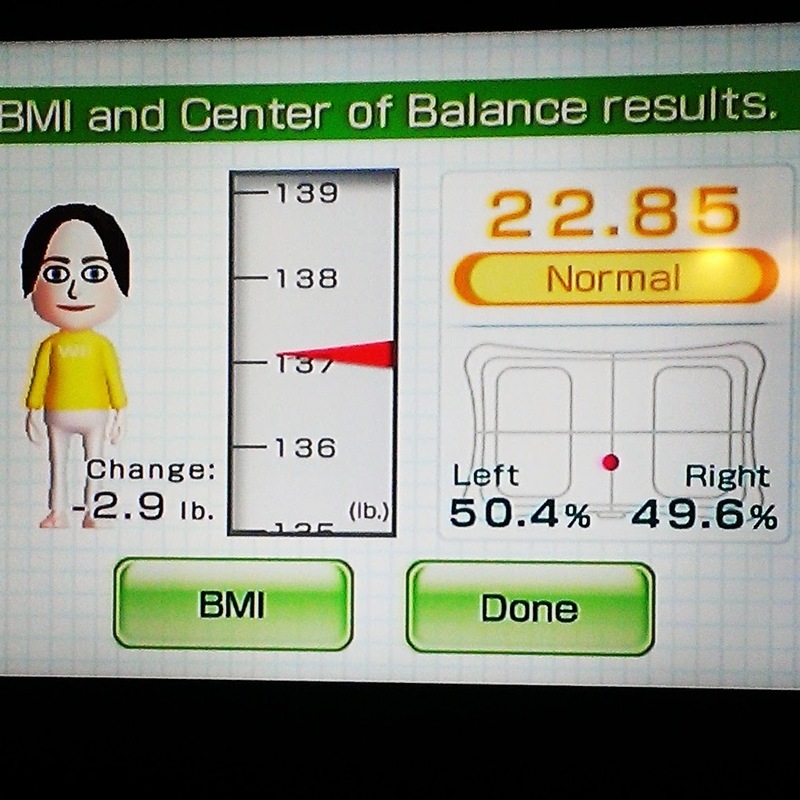 So once I had everything all set up, I weighed myself on the Wii Fit to see where I started. EEK! 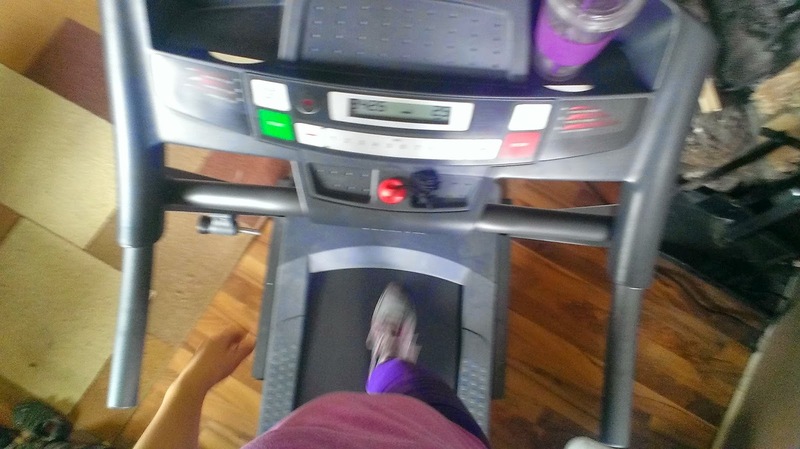 Then I got on my treadmill and ran for 30 second intervals. It wasn't that bad at all. Since the app has you run then walk it was so easy because I wasn't overdoing it. Each week has a three day schedule and then it ups its length of running and shortens its walking times. I couldn't believe I was actually doing it. I would just turn on some Netflix and go. So easy! 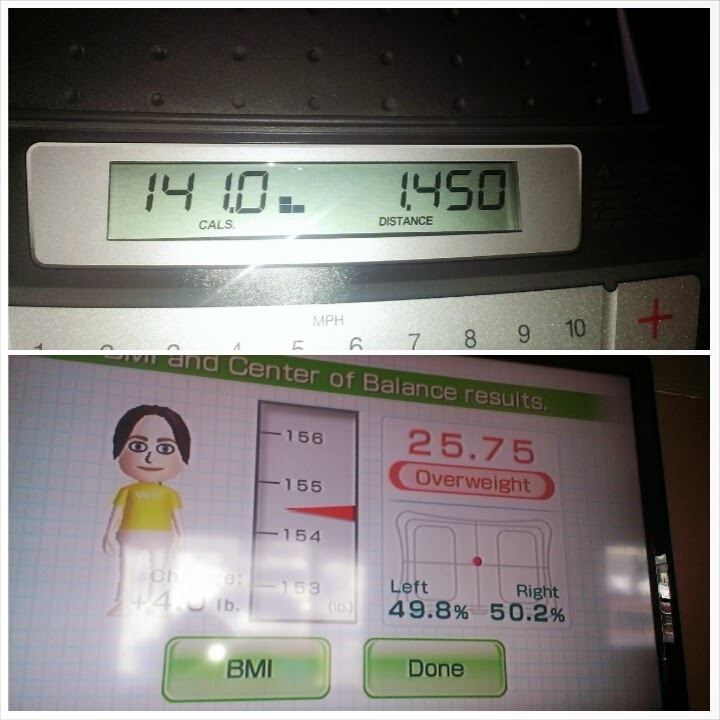 In the 8 weeks that I did the app I lost 15 pounds! I couldn't believe it. I also downloaded a calorie counter app on my phone, but I wasn't super strict at all. If anything, I had to eat more than what I normally did to get my recommended number of calories. I haven't ran since we moved in the beginning of May but I managed to lose another 3 lbs since then. I am officially down 18 pounds since I started just 5 months ago. Once Marley goes back to school in another month I will start running again but this time with the 10K Trainer app. 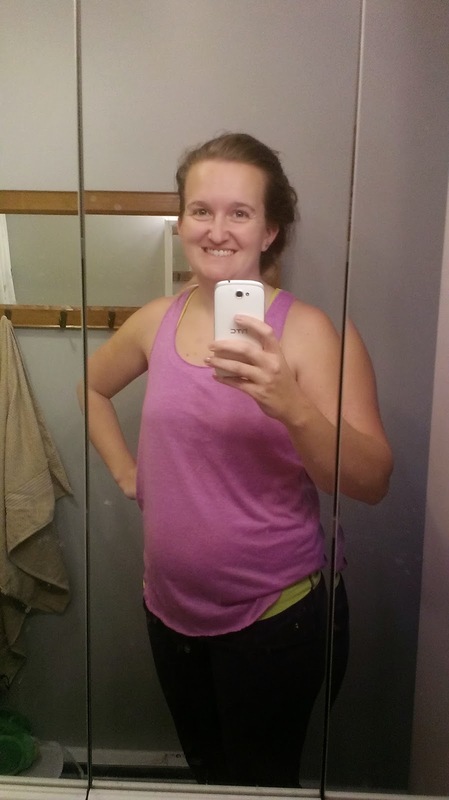 I just need to lose 2 more pounds until I am back to my pre-baby weight! I usually hate when people say 'if I can do it, so can you', but it really applies in this situation. I really hated running before, but I did complete the 5K at the end of the 8 weeks which I never thought would happen in my entire life!